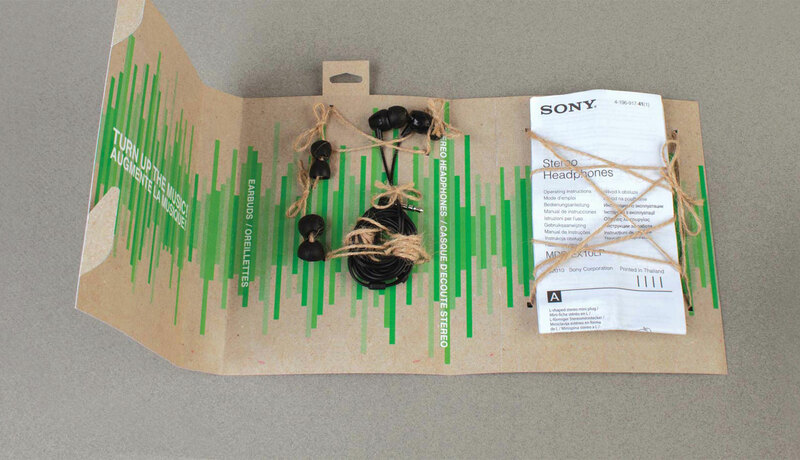 The current Sony headphone packaging needed a sustainable take on itself. 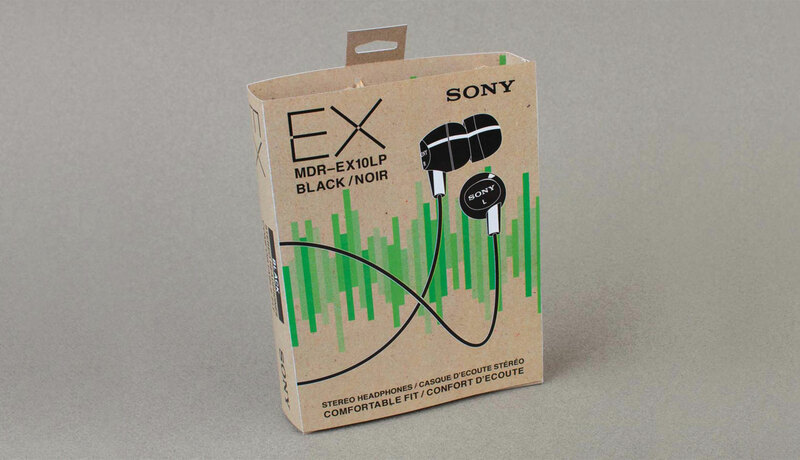 Therefore a single sheet of paper package was devised to give this option. 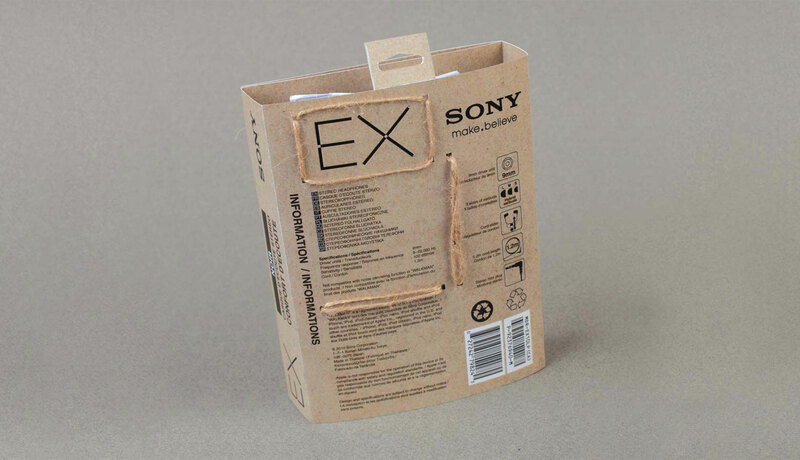 Sony already used a paper tab system to lock the package together while it was encased. 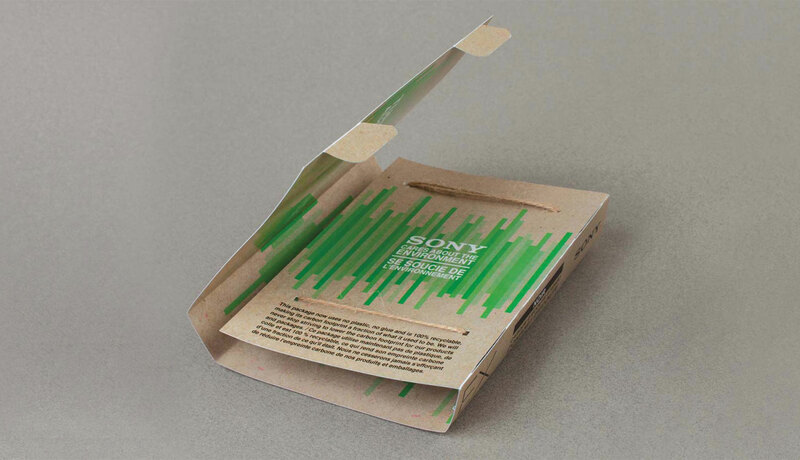 By using this same paper tab system, these paper tabs would lock into the packaging for security and transport.